SIDE NOTE: I did not intend for the blog to get "political" all of a sudden, but this definitely caught my eye. With all of the rumors floating around that President Barack Obama is not meant to serve the country because he "was born outside of the U.S." (**clears throat: Donald Trump**), the White House has said enough is enough and has set out to prove the disbelievers wrong. 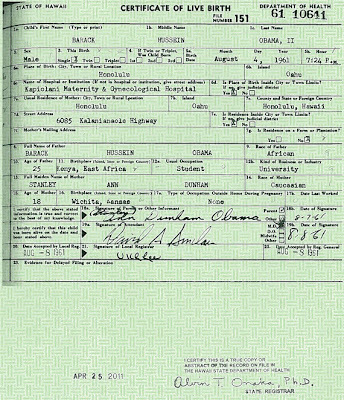 Earlier this morning, the White House released a photo of Obama's long-form birth certificate on its official site. 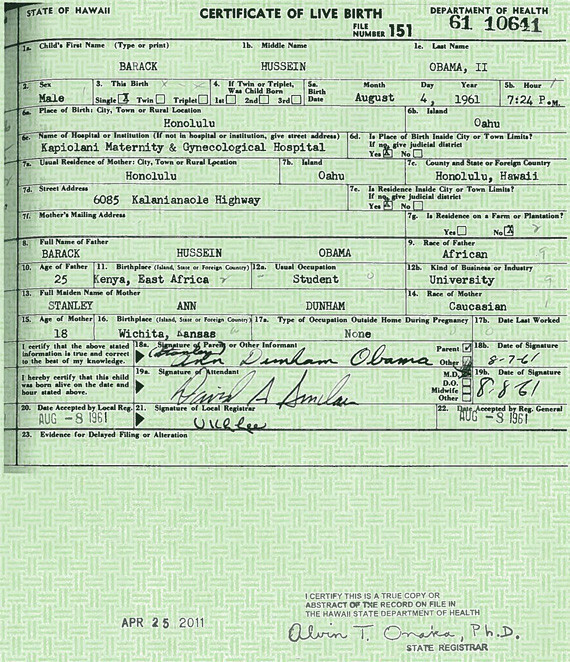 It says that the president was born in Honolulu, Hawaii, on August 4, 1961, and is, therefore, eligible to serve as president. Obama will address the White House's photo release sometime later today.